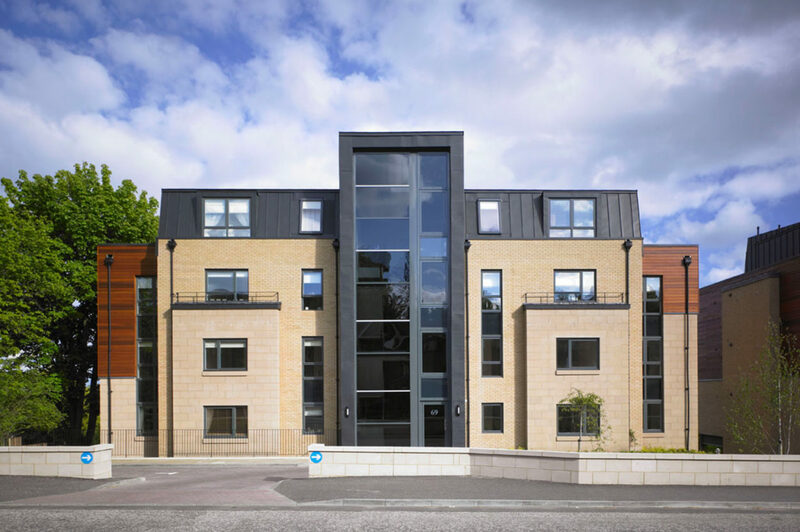 This new build development sits within the Langside Conservation Area in the South side of Glasgow. The existing villa arrangement was carefully considered in close association with Glasgow City Council Planning Department to ensure that the new build related positively to the existing street, landscape and materials. Twenty four flats were consequently divided into two inter-related buildings. These buildings present a formal frontage to Millbrae Road that sit in line with the existing adjacent villas. A steep slope to the south provided the opportunity to locate the main accommodation to the rear of the development overlooking the landscaped grounds and views to the south. This provided relief from the busy street and limited the impact of the building to the neighbouring properties. 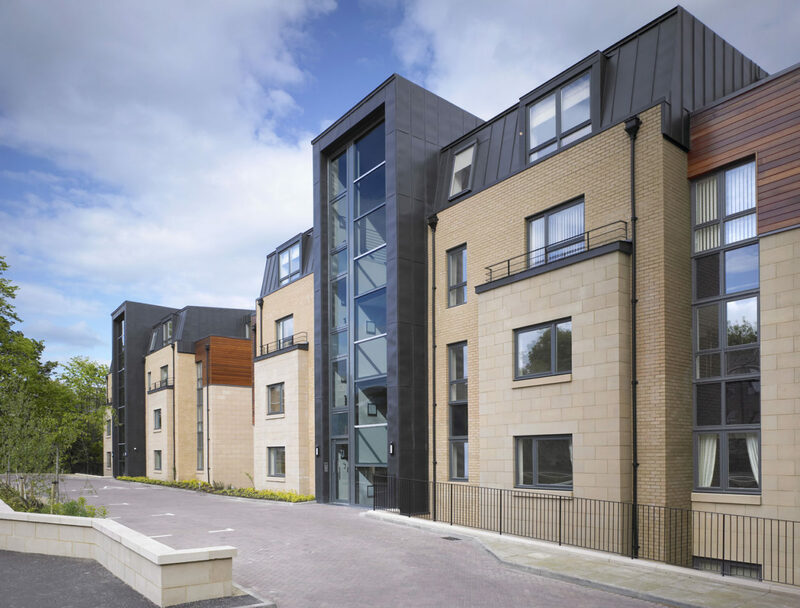 Both the front and rear facades are carefully modelled to respond to their immediate context and a collection of complimentary materials provide a harmonious link to the adjacent buildings. The site has been planted with cedar trees, with emphasis to the rear, to ensure that a greater number of young trees flourish on the site than before. 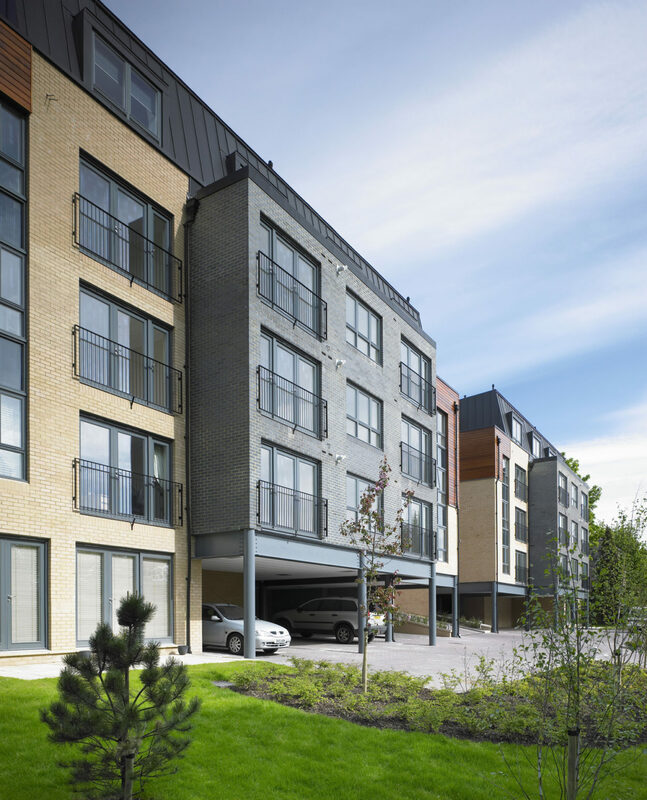 The rear garden has been landscaped to provide amenity and recreational use for all the flats. The working areas of the building are located in the lower ground floor so as not to disturb the local neighbourhood and rear car parking is concentrated beneath the building.